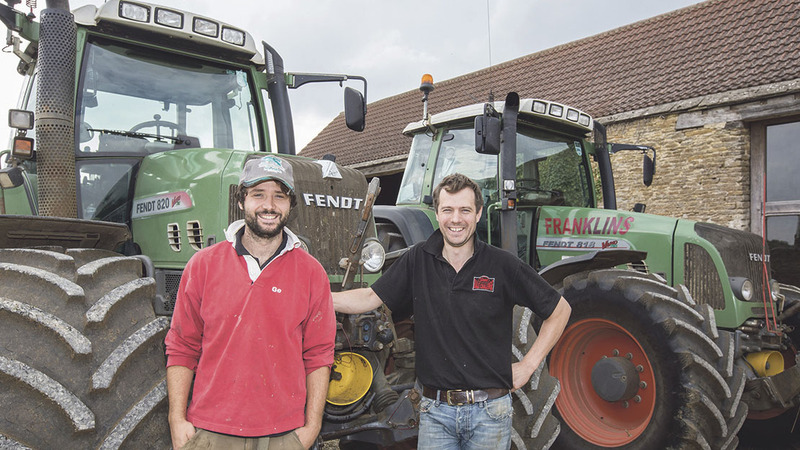 With the cost of new tractors appearing to head in one direction only, Gloucestershire contractor Harry Franklin believes the second-hand tractor market offers tremendous value for the canny buyer. Geoff Ashcroft reports. With a little planning, and the luxury of time on your side, it is possible to seek out the right tractor at the right price and with the right specification. It may seem like you are searching for a pot of gold at the end of a rainbow, but it can be done with a little thought and planning, says Gloucestershire contractor Harry Franklin. Take a look at our Buyer's Guides and User Stories. George (left) and Harry Franklin are pleased with their tractor choices. “We try to buy the best we can, and look after them,” says Harry. It is how Mr Franklin has successfully sourced and run his tractors since starting his contracting business from Sisters Farm, Cirencester, in 2001. “The easy option would be to walk into a dealer’s yard and tick your way through the options for a new build – or if you are really lucky, there will be one in the yard which has all the bells and whistles you are looking for,” he says. “But new tractors are a tremendous amount of money, particularly when you start to spec-up for wide tyres, extra spools, front linkage and pto,” he says. Though there are compromises to be made when buying used. He thinks the smart buying option – and one which has helped his business to develop over the last 15 years – is to set a budget and search out that low hour, high specification tractor you need. It is a route which has kept working capital in the pot to allow Mr Franklin to invest in new implements. 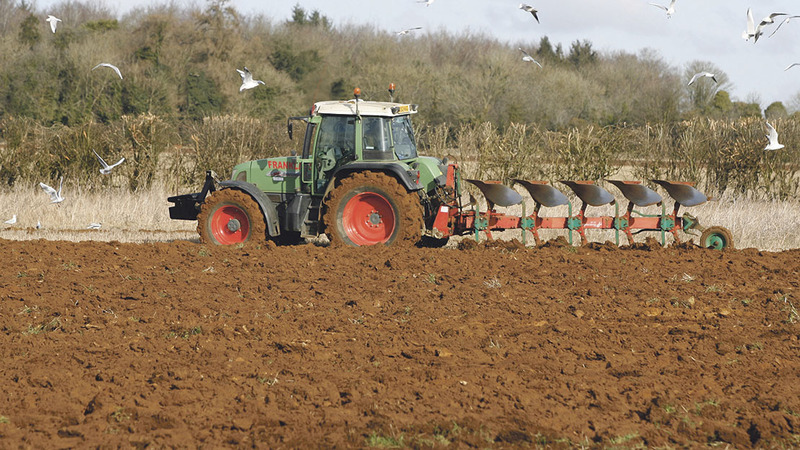 Franklins Contracting, run by Mr Franklin and his brother George, covers about an 324-hectare (800-acre) workload, carrying out a wide variety of arable and forage work for customers. Fendt Favorit 312 is in rude health with more than 15,000 hours on its clock. The Franklin fleet is now an all Fendt affair, comprising a 10-year-old 818, and a seven-year-old 820 as the businesses two workhorses. The third tractor in the fleet is a 15,000-hour, 22-year-old Fendt 312 Turbomatik. 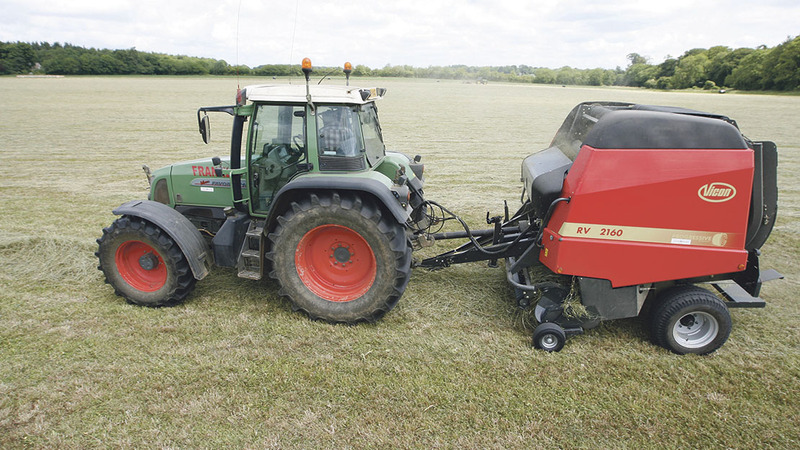 The Turbomatik model joined the line-up in 2006 with just 8,000 hours under its belt, as an extra tractor which was needed to help the business grow. “Everybody loves to drive the Turbomatik,” he says. “It is used mostly for hedge cutting and bale wrapping, and it is surprising just how many hours it does each season. Though we are doing more work with the other two. "New tractors are a tremendous amount of money, particularly when you start to spec-up for wide tyres, extra spools, front linkage and pto"
Mr Franklin’s relationship with continuously variable transmissions (CVT) started in 2005, when a Fendt 716 took the place of a JD6800. “I wore the Deere’s clutch out during a season’s baling, so the time was right to look at CVT tractors,” he explains. He recalls there were very few CVT tractor choices at the time, and the Vario takes the stresses and strains out of long days in the cab. Today’s tractor market is awash with choice, as technology has cascaded down through the ranks at almost all power levels. The 716 eventually made way for the firm’s current 820. Complete with front linkage and pto, the 820 was bought with 4,000 hours on the clock, and has now covered 8,500 hours. Take a look at our Fendt 820 Buyer's guide. The business runs two ploughs, giving operational flexibility. His other frontline tractor, a Fendt 718, replaced a JD7920 AutoPowr model, and was bought as a smaller, lighter option which was also kinder on fuel too. The 818 arrived with 5,400 hours on its clock and has currently rolled past 9,600 hours, needing little attention since it joined the Franklin fleet. 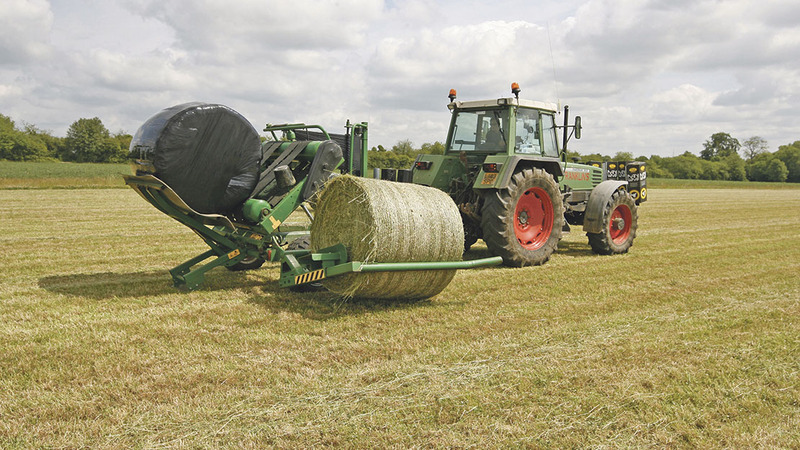 Vicon RV baler has clocked up around 70,000 bales in six years. “I was a little wary at pulling the trigger on the deal knowing the tractor had a new engine at 2,500 hours and a replacement transmission at 5,000 hours,” he says. “But service history and warranty from the supplying dealer gave me peace of mind for the first season. And throughout the last 4,000 hours, it has been great. There should be plenty of life in it with such a new powertrain. “Mechanically, our tractors are very easy to service and maintain, and with me being a trained mechanic, there is not a lot George and I will not tackle in the workshop,” he says. Next on his wishlist is a Fendt 724.